AN EXPANDED station, additional tracks and new flyover junctions to increase capacity at East Croydon have moved a step closer after Network Rail secured Government funding to design the remodelling scheme. The project is the central element of NR’s Brighton Main Line upgrade, designed to deliver major improvements in punctuality and capacity between London, Gatwick Airport and the Sussex coast. 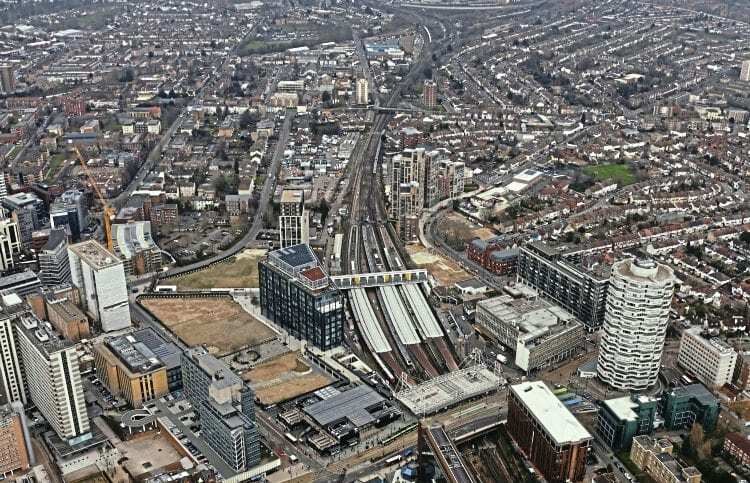 A series of new grade-separated junctions will be built north of East Croydon to remove the ‘Croydon bottleneck’, where routes to and from Victoria and London Bridge converge. East Croydon station would also gain two extra platforms, rising from six to eight, and expanded concourse areas with better access to the platforms and the surrounding area.